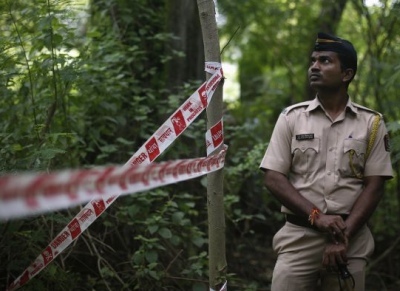 The Mumbai police team, probing the mysterious Sheena Bora murder, have a lot to thank Ganesh Dhene, a village official in Pen tehsil of Raigad district, for helping them locate the spot where Sheena was allegedly buried in 2012. A team of police, forensic experts and villagers had on Friday eletal remains after Dhene, a Police Patil, identified the exact spot where Sheena's body was allegedly dumped in the forests there three years ago. Early on Friday morning, the team of police officials and forensic experts from Mumbai had reached Gagode Budruk village in Pen teshil and the digging had started around 6 am. After packing the skeletal remains in plastic bags, the team left for Mumbai at around 2 PM on Friday. "We have recovered skeletal remains of Sheena Bora. We will be dispatching the remains for a DNA test," Mumbai Police Commissioner Rakesh Maria had said on Friday.